Back in 2011, Gary Hamel penned a controversial article for Harvard Business Review called “First, let’s fire all the managers”. Since this article was published, many organisations have begun exploring the concept of self-managing teams and moving to a Holacracy system. Written by Dr Amantha Imber. 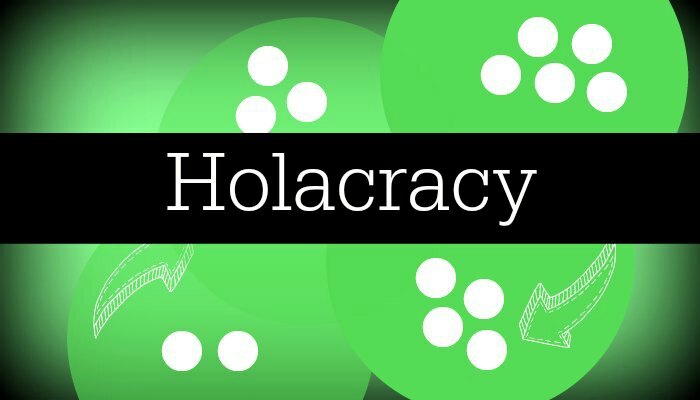 The Holacracy system knocks down traditional hierarchy - people no longer have a boss, and people are empowered to make their own decisions (individually or in their teams), as opposed to navigating through numerous approval layers. My consultancy Inventium, an innovation agency, recently “fired” all the managers and moved to such a system. While there have proved to be many benefits in doing so, here are several that organisations which have implemented self-managing teams have observed. Traditional management structures are similar to a parent-child relationship – despite the fact that organisations are full of adults. Managers can be like the authoritative parent who is responsible for determining what is right or wrong, as well as granting permission for the child to engage in certain activities. In organisations which have eliminated managers, relationships become more adult to adult. In doing so, everyone feels more empowered, more responsible and ultimately, acts more like a Founder than an employee. Even though managers may have the best of intentions, they can actually be the cause of blockages and bottlenecks. For example, if managers (or potentially several layers of managers) need to sign off on decisions employees make, things inevitably take longer to get done. In today’s world, businesses that are bogged down in bureaucracy lag behind in the innovation race. It is the organisations which are able to be swift and efficient that can release products faster and respond more quickly to customer needs. When people rise up the ranks in organisations, it tends to be because they have superior technical skills. Less often, it is because they are a superb people manager. Indeed, in most organisations, it is well documented that people leave because of managers, not companies. As such, it is almost illogical for people who are so technically skilled to be spending a large proportion of their time doing something they are probably not that good at and often don’t enjoy – that is, managing people. For organisations that have self-managing teams, people who were previously spending a lot of their working hours managing people are now freed up to do what they do best – using the technical skills they have acquired over the course of their career and applying that to doing great work for their company. Making the move to self-managing teams, or a Holacracy, is a significant one. Organisational, team and individual structures need to be completely re-thought, ranging from how feedback is given, through to how goals are set and how pay rises are awarded. But if you can work through the multitude of changes and decisions, the world of self-managing teams can be an incredibly rewarding, empowering and profitable change for companies. Dr Amantha Imber is an innovation psychologist, best-selling author, and founder of one of Australia’s leading innovation consultancy firms - recognised as one of Australia’s fastest growing companies in the BRW Fast 100 list, and was also awarded the BRW Client Choice Award for Best Management Consultancy in Australia. Dr Amantha Imber is available for keynote speaking engagements, and will tailor workplace training solutions to organisational needs. Create a culture where innovation thrives, contact the team at Great Expectation, call 1300 55 64 69.